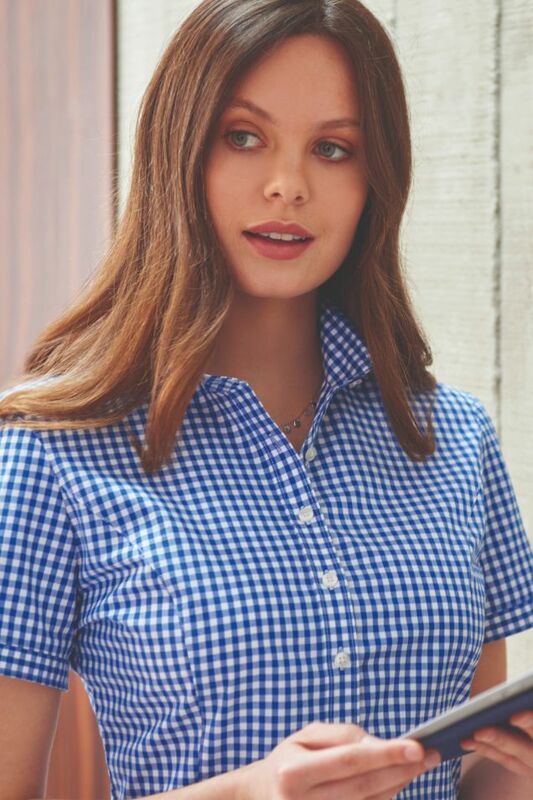 Ladies Work Shirts | Short Sleeve Blouses | LucyAlice - Tulsa Tailored Gingham Shirts. Tulsa Short sleeve gingham shirts in Blue, Brown and Red perfect for the vibrant causal business look new for 2019 available in Long and short sleeve. Product Code 2322/A Blue, /B Brown, /C Red.